I'm back with another look of the day. 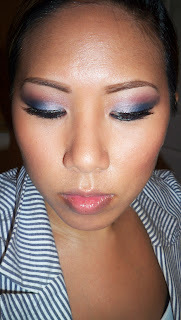 I used my Josie Maran Eye Love You Palette to create a colorful smokey eye. Oh and guess what? I'm doing one more giveaway for this palette! I decided to mix thing ups with a colorful smokey eyes - I used the silver, navy blue, burgundy and purple from this palette. It's fun to try new combos of colors and I really like the way this came out. 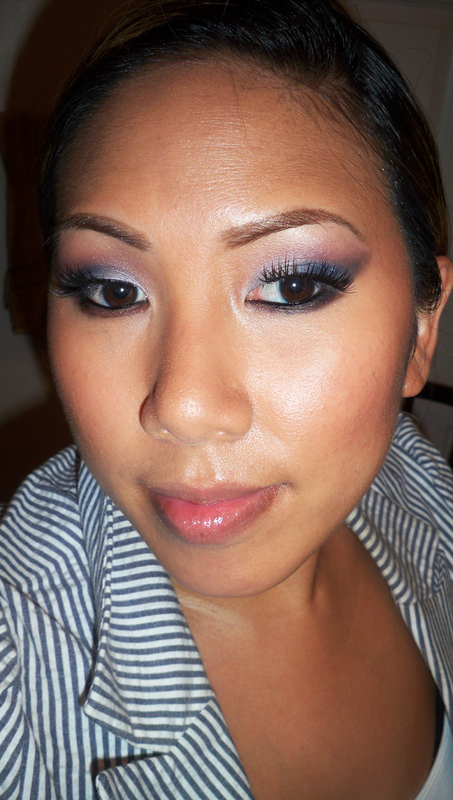 The shadows are really easy to blend so the combo went together flawlessly. Pair it with a neutral lip to balance out the bright colors, and you're good to go! Guess what! I'm giving away one of these palettes on twitter today! One of the winners never claimed their prize so I'm opening the contest up again. It's open to US followers. Follow me on Twitter for your chance to win! Bummer for the person that originally won and never claimed it! Hope I get lucky! Nice post! 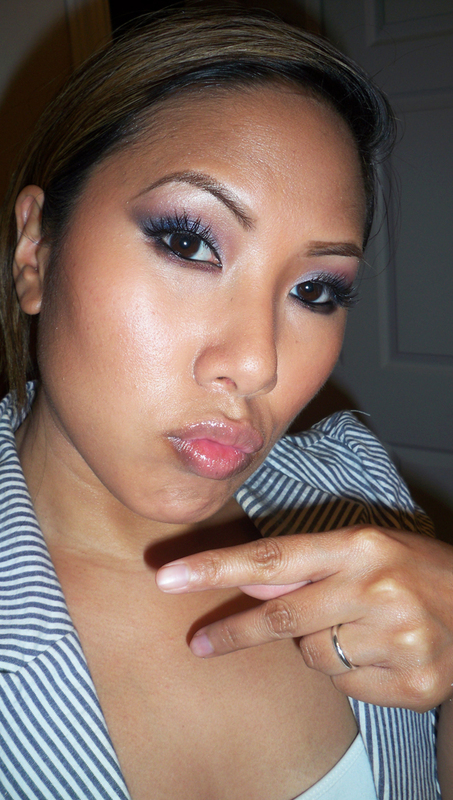 Smokey Blue Look is awesome. 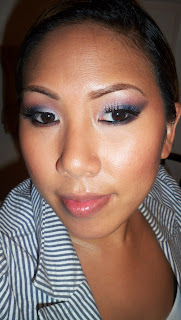 Speaking of makeup, my cousin needs makeup choices for her birthday party. Since I'm saving for my school project, I'm planning to do makeup services for her as a gift. I'll look around for inspiration in your blog. My school project is really expensive, I must say. That's why I'm also planning to rely on Wisconsin payday loans services to add my savings for school projects.